HAMILTON PIPING ROCK WHITE GOLD Hamilton Watch Co, Lancaster. PA., Piping Rock, movement No. 079737, case No.105865. Made circa 1950. 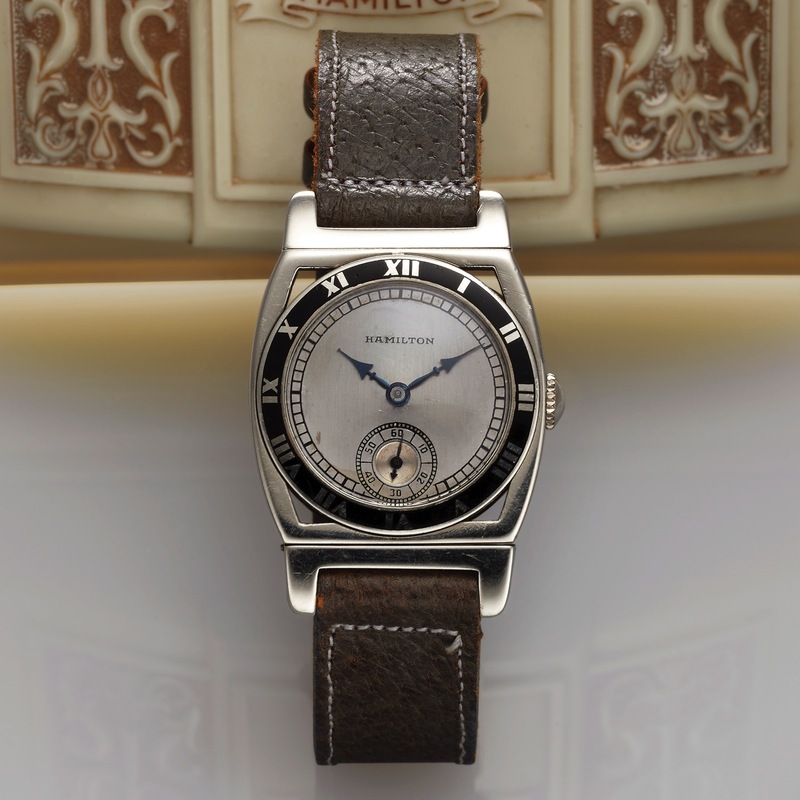 Fine and rare, tonneau-shaped, 14K white gold and black enamel wristwatch. Accompanied by the original fitted box. Dial, case, and movement signed. DIM. 29 x 42 mm. THICKNESS 8 mm.